The City of Cape Town would like to inform all customers that there has been lower than average rainfall and run-off in the catchment areas of the major dams supplying Cape Town and the surrounding region with water this winter. 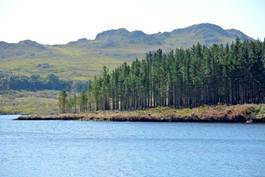 As a result, the levels of the major dams of the Western Cape Water Supply System (WCWSS) are lower than the City is comfortable with as we come to the end of the rainy winter season. The six major dams of the WCWSS are currently at about 74% capacity which, while not critically low, is lower than average over the last 20 years. The National Department of Water and Sanitation, together with all stakeholders in the region (including the City), will therefore meet and decide at the beginning of November whether restrictions will be required over the coming summer season, and if so what the level of restriction will be. Restrictions are put in place to conserve water resources during periods of drought in order to ensure ongoing supply to consumers. Should the National Department of Water and Sanitation decide that water restrictions are necessary over the coming summer, the City will support the decision, as it is in everyone’s interest in the region to protect our water supplies to consumers, as well as to conserve our water resources. ‘The City would like to emphasise the need for consumers to continue with water saving practices as it is imperative that all of us play our part to conserve water in the city. We need to be mindful that the water being provided to us by the City of Cape Town is of an exceptionally high quality and should not be wasted. It is this culture that we need to maintain as consumers throughout the year – come rain or shine,’ said the City’s Mayoral Committee Member for Utility Services, Councillor Ernest Sonnenberg. In this regard, the City tries to lead by example. Over the past few years, the City has introduced a number of measures aimed at reducing water losses including asset management, pressure management schemes, pipe replacement programmes, leak detection software and customer education and awareness about water saving and alternative water sources. Leak repairs on private properties are also being offered to indigent customers. These initiatives have up to now successfully suppressed the water demand across the city to below maximum levels reached in 2000. Further to this, the City has also incorporate good water use practices into its Water By-law, in an attempt to reduce water demand by 10%. Responsible water use by customers is therefore a legal requirement in Cape Town, and reflects the City’s commitment to protecting its water demand. The Water By-law, as well as information regarding water conservation and alternative water options, can be found on the City’s Water and Sanitation website at http://www.capetown.gov.za/en/KeepSavingWater/Pages/default.aspx. ‘Because Cape Town is situated in a water-scarce, semi-arid region, it is important that we all do our bit to conserve our most precious resource and avoid unnecessary water restrictions and measures. Even minor adjustments in attitude and habits, when compounded, can make a significant difference,’ said Councillor Sonnenberg.